The Indian ace shooter beat China's Hu Binyuan in a breathtaking shoot-off for the Gold medal. While the Indian makes plans for the Olympics, Hu's nightmare continues: this was his sixth world cup final silver medal within nine years, without a title. India’s Ronjan Sodhi won today’s Double Trap Men event at the ISSF Shotgun World Cup Final held in Al Ain (UAE) from September the 30th to October the 7th. 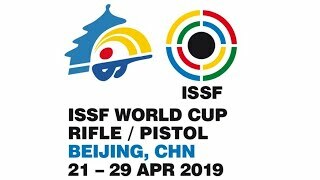 After scoring 187 targets, he shoot-off China’s Hu Binyuan by 2 to 1 hits in the tiebreaker, securing his second ISSF World Cup title back to back. 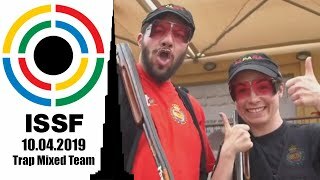 The 31-year old Indian shooter arrived here to defend the title he had secured at last year’s ISSF World Cup Final in Izmir (TUR), and centred the goal after a spine chilling medal match. After entering final match in second place, with a qualification score of 142 hits out of 150 targets, Sodhi climbed up overtaking China’s Hu. But, at the last double, he wasted the one-target advantage he had built up by missing his very last target. “Not exactly. I knew what was going on. I needed to hit that target to win, and I missed it over the excitement.” Sodhi said right after the final. “Things like that can be fatal: I was thinking too much before the last double. I made such a stupid mistake, but then I was able to get back on focus at the shoot-off, and I made it.” The Indian shooter commented about shooting-off China’s Hu. Sodhi has never participated in the Olympics. Three years ago, in spite of scoring a World Record just a few weeks before the 2008 Games, he did not make it to the Indian Olympic team going to Beijing. Now, after such a result, he is almost sure he will be competing in London. 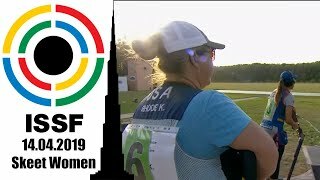 “We had a chance to test some targets that could be used at the Olympics, here in Al Ain. But these targets are too hard, you can tell it by looking at the scores: too low.” He commented. China’s Hu Binyuan secured today’s Silver medal, finishing on the podium with 187+1 hits. After starting the match in first with 144 hits, he scored 43 targets, finishing in second after missing at his first shoot-off double. 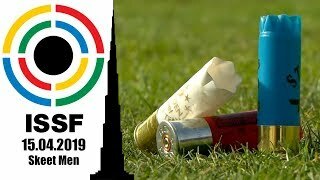 The World Cup Final must be Hu’s nightmare: since 2003, he has finished in second six times (four consecutive times between 2006 and 2009), and has never won a Gold medal in this event. 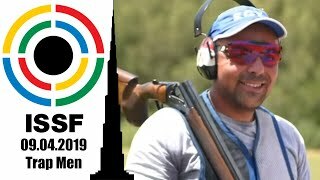 With 185 hits, the Bronze medal went to Russia’s Vitaly Fokeev, a 37-year old world record holder who qualified to participate in this event by winning this year’s ISSF World Cup Stage in Concepcion. Italy’s 33-year old Marco Innocenti finished in fourth place with 180 (136+44) hits, followed by the 2008 Olympic Champion Walton Eller, fifth with 178 hits, the same score of Great Britain’s Peter Wislon, who closed the match in sixth place.